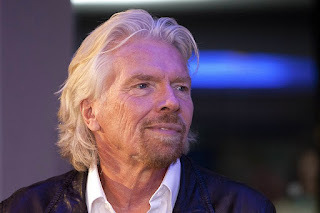 Branson, founder of Virgin Group, says he will suspend his directorships in two tourism projects in Saudi Arabia while an investigation takes place. He also is putting on hold discussions about a proposed Saudi investment in space companies Virgin Galactic and Virgin Orbit. Khosrowshahi is scheduled to speak at the Future Investment Initiative conference, which takes place Oct. 23-25 in the Saudi capital, Riyadh. The event also lists JPMorgan Chase CEO Jamie Dimon, Blackrock Chairman Larry Fink and U.S. Treasury Secretary Steve Mnuchin among dozens of expected speakers.